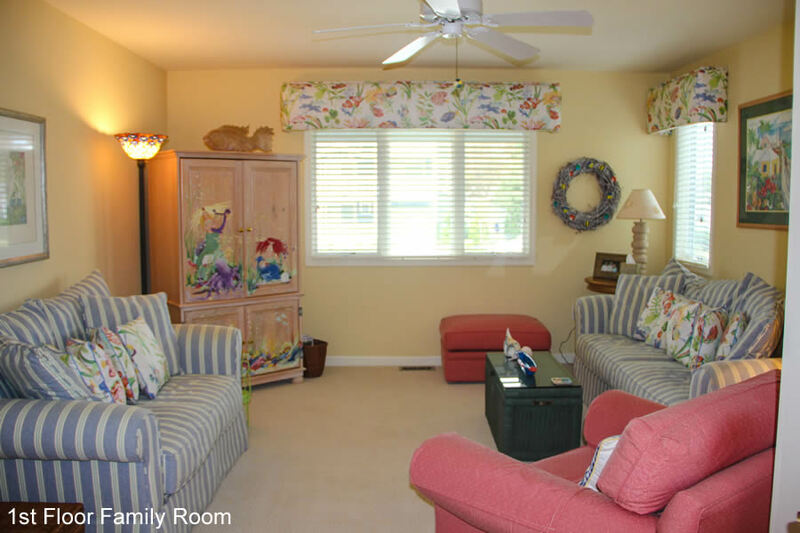 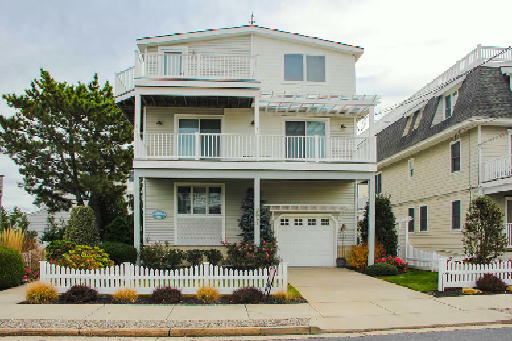 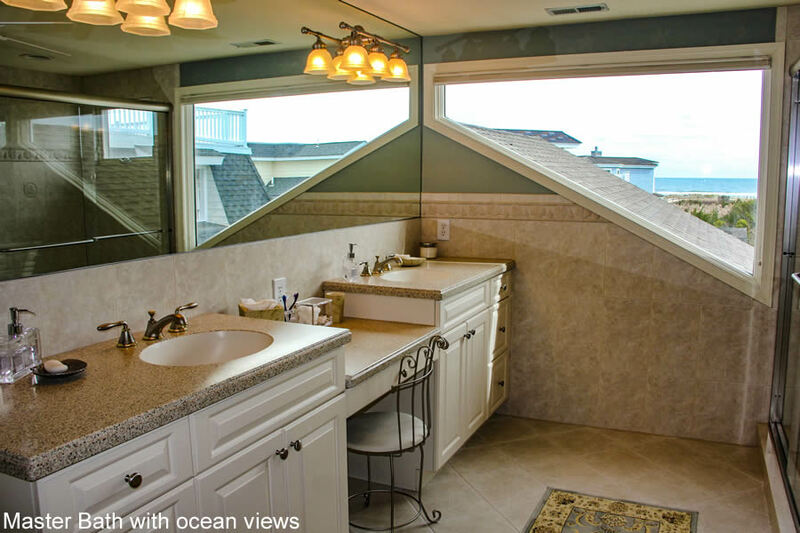 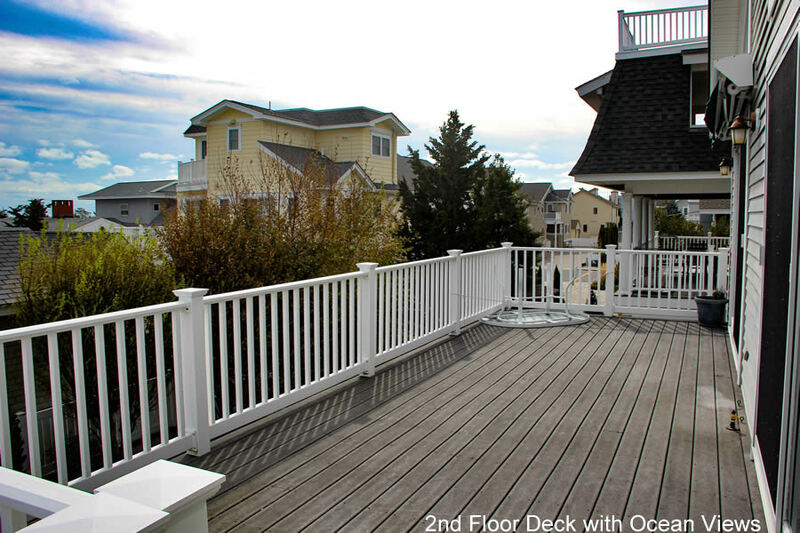 Great three story offering 6 bedrooms and 4 bathrooms home located on the beach block in Avalon. 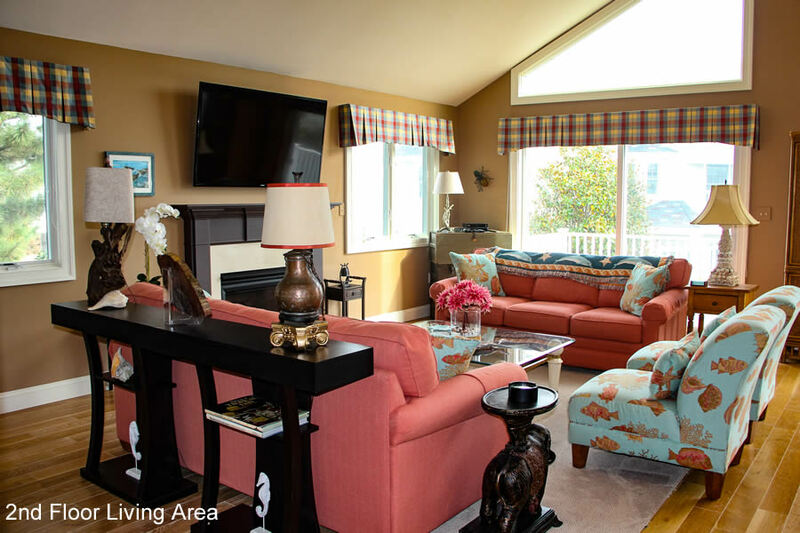 The 2nd floor great room offers an expansive living room, dining and kitchen area with cathedral ceilings offering plenty of natural sunlight leading out to a 2nd floor deck that expands the width of the home. 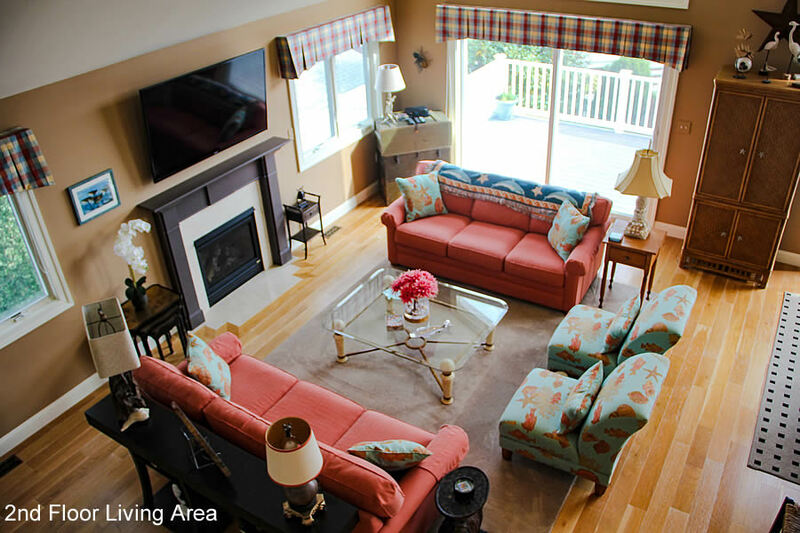 The living room has comfortable sitting arrangement to enjoy the a large screen TV above the mantel. 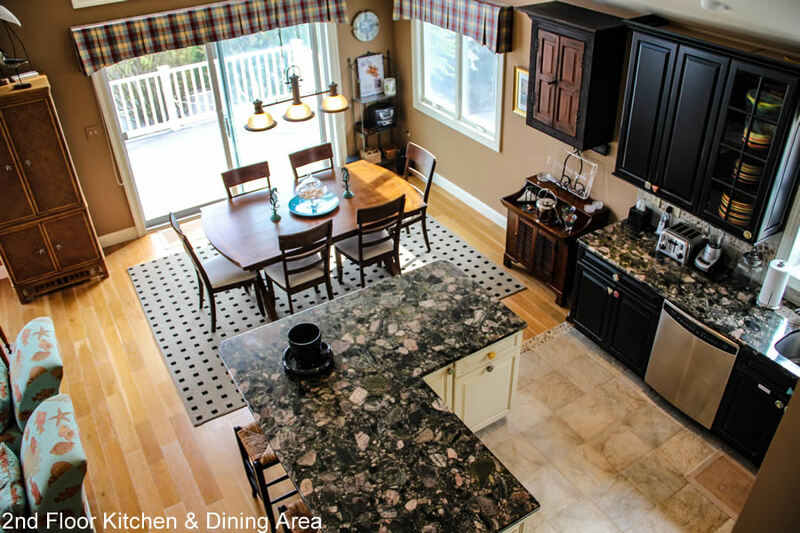 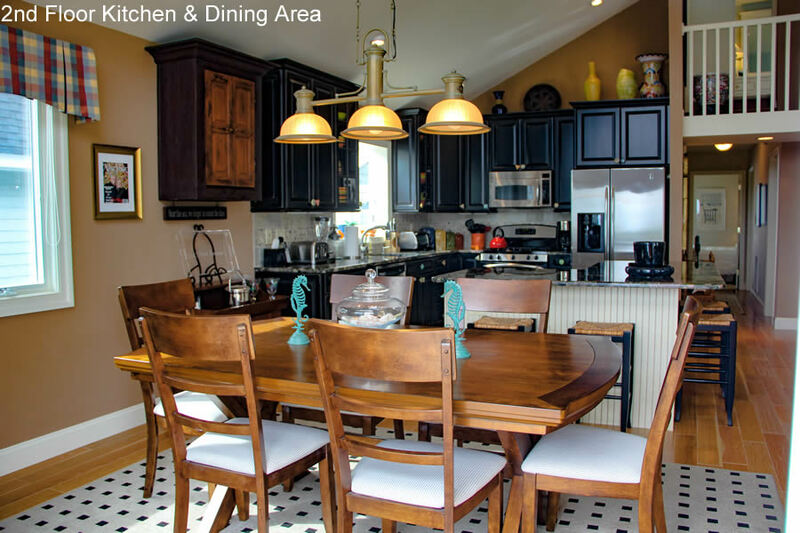 A dining room table along with stools at the kitchen counter and a fully equipped kitchen for your use. 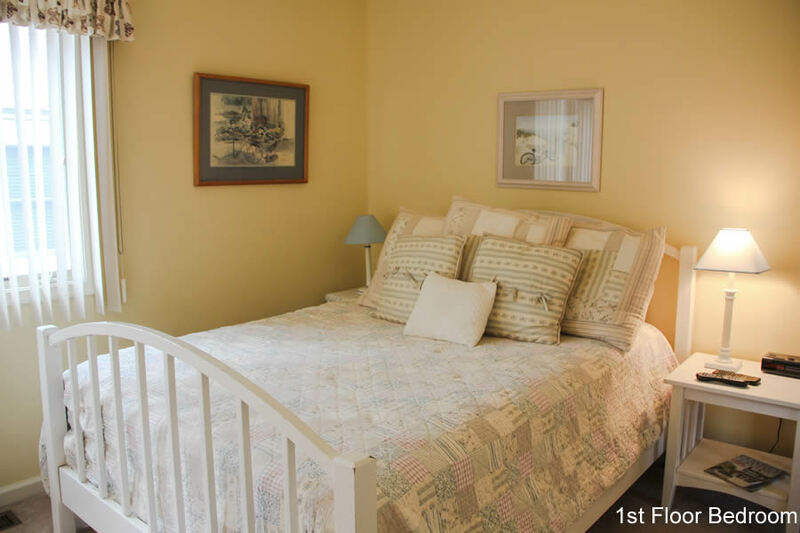 In addition on the second floor we have a guest bedroom with a queen size bed, a second bedroom featuring a queen size bed along with a private bath featuring a power jet tub and shower. 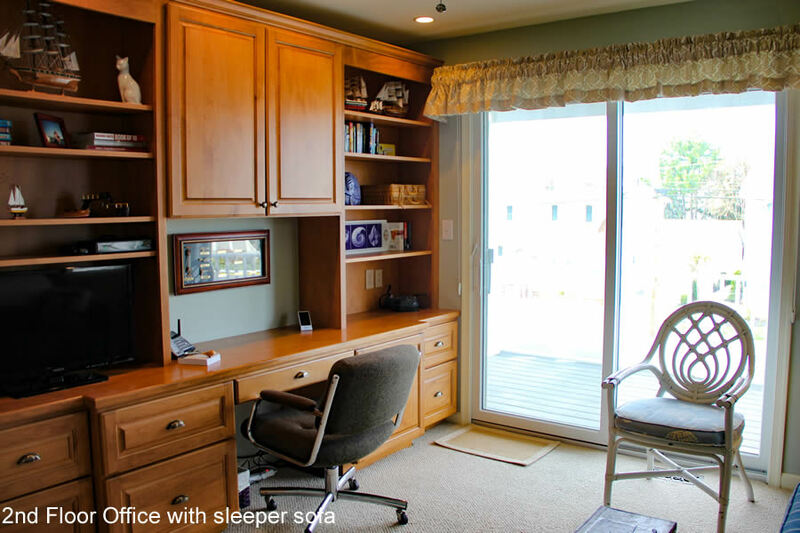 Plus an office area ideal for reading or just quiet space that includes a flat screen TV with a DVD player and a queen size sofa bed. 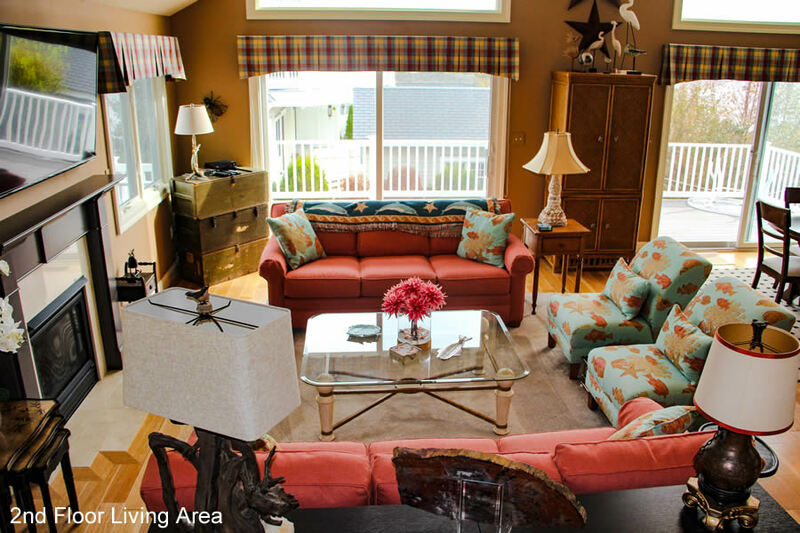 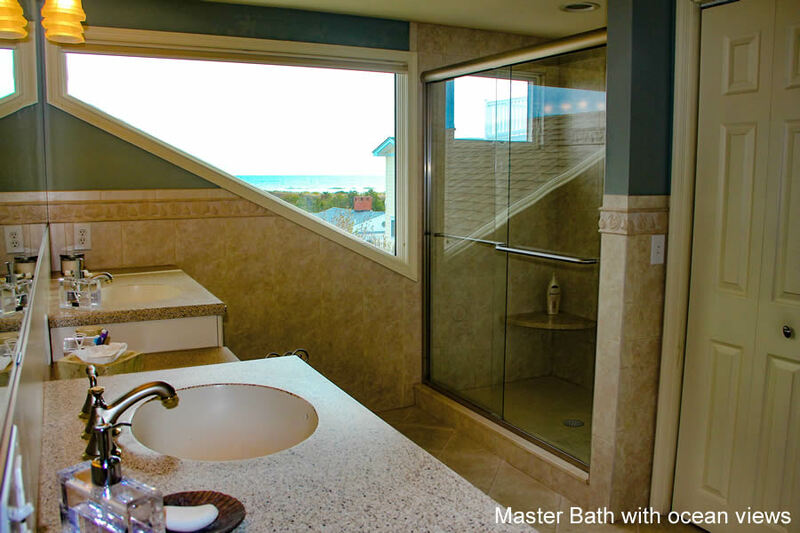 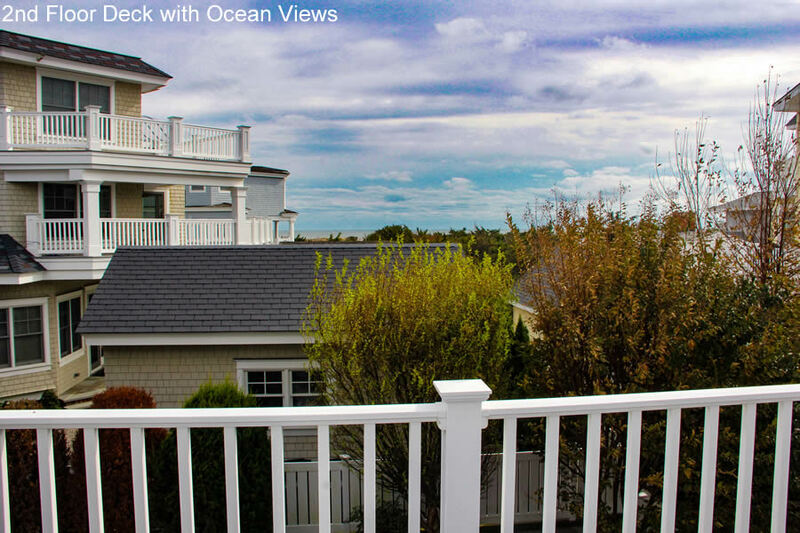 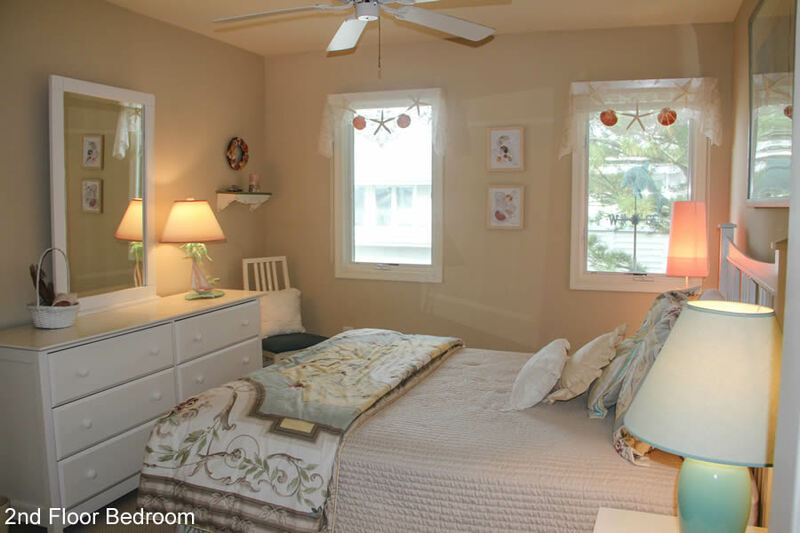 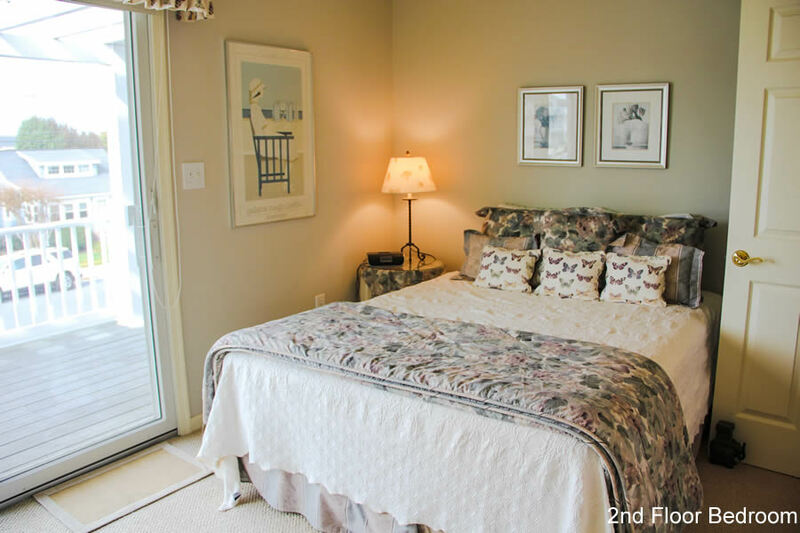 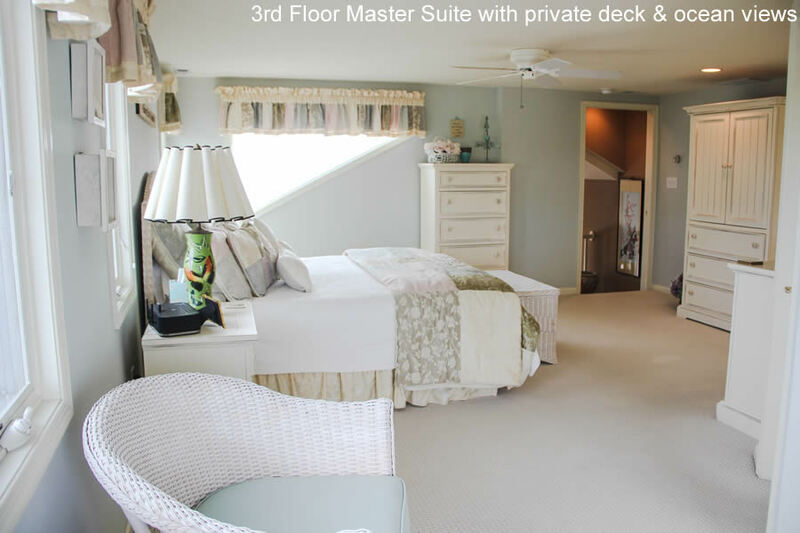 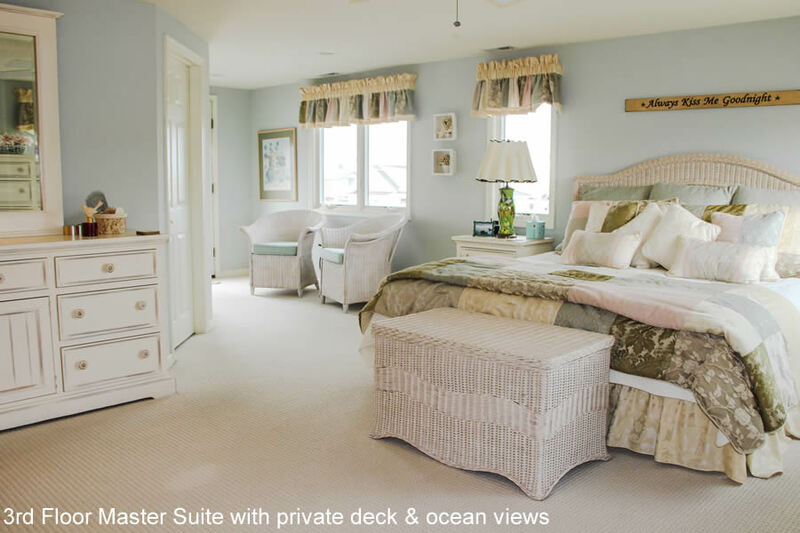 The 3rd floor offers a private master bedroom with access to a street side deck overlooking First Avenue and a large master bath with ocean views. 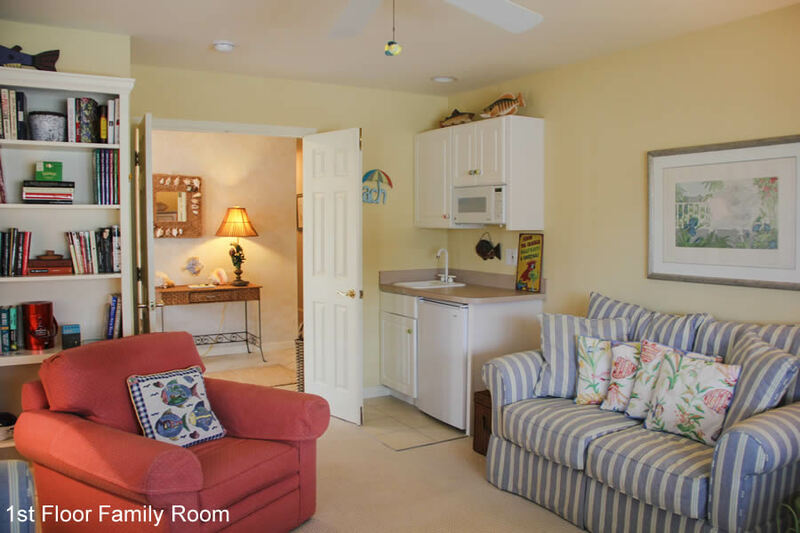 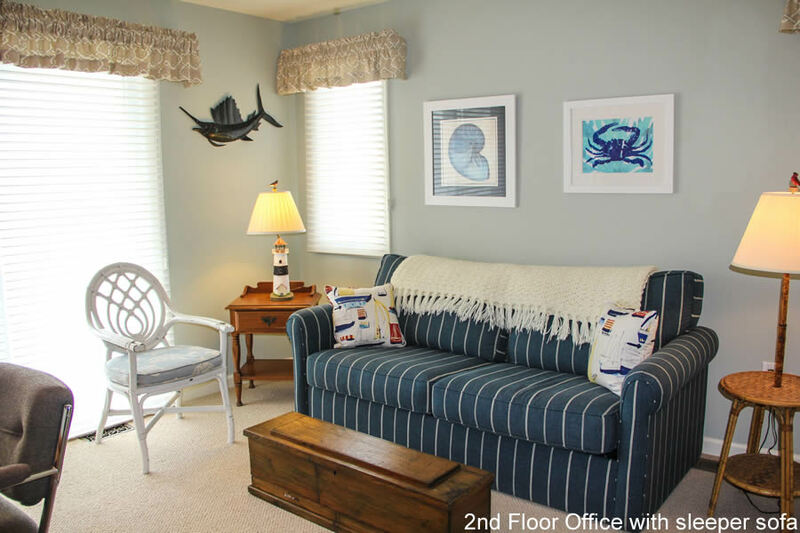 The first floor has a family room with a TV, wet bar and mini refrigerator and microwave oven for your enjoyment. 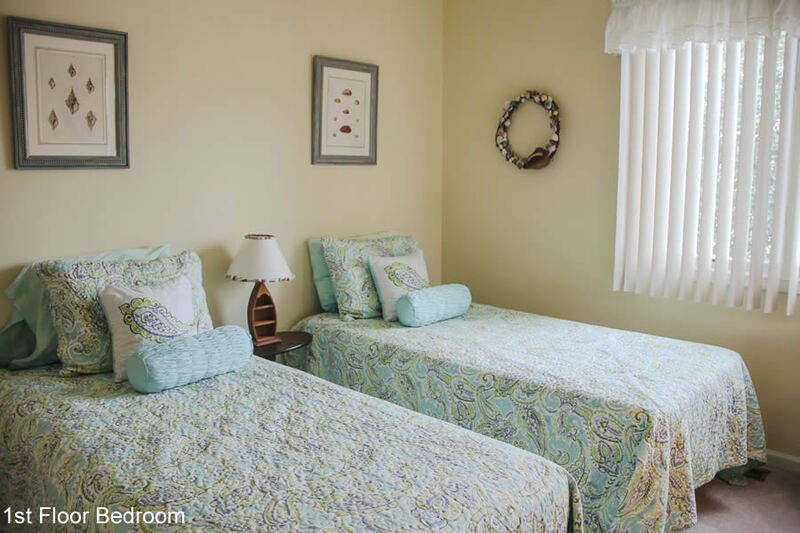 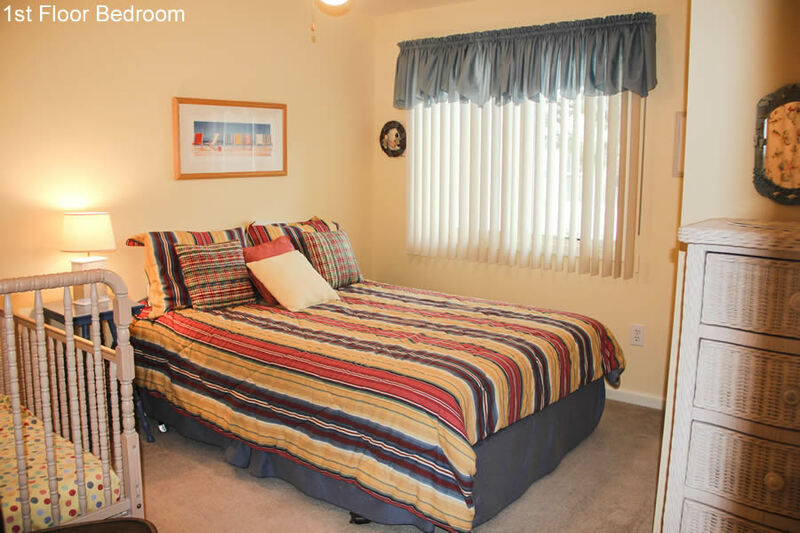 The first floor also offers 3 guest bedrooms : 1 bedroom has a queen bed along with a child's crib, 2nd bedroom with a queen bed and 3rd bedroom featuring 2 single beds, a hall bathroom with a tub & shower and a laundry room.